4. Blade Type: 2 prongs or 3 prongs optional. 4.1 E blade: 2 prongs, suitable stranded wire. 4.2 Y/Z blade: 3 prongs, Patent Blade, suitable for both solid and stranded wire. 5. Housing Material: Japan Teijin PC, UL 94-V2, UL 94-V0 is available. Looking for ideal Cat 6 8P8C Unshielded Connector Manufacturer & supplier ? We have a wide selection at great prices to help you get creative. All the Cat 6 8P8C Modular Plug are quality guaranteed. 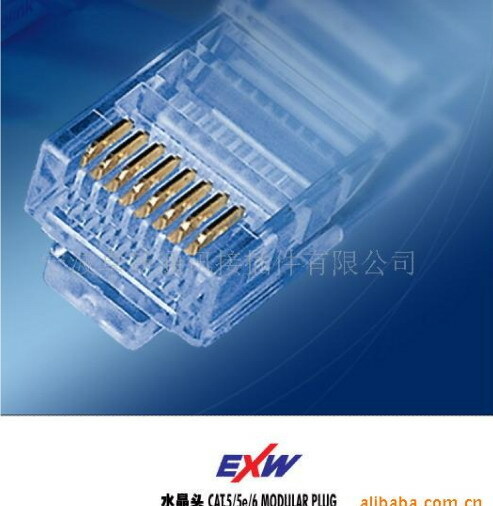 We are China Origin Factory of Cat6 8P8C UTP Connector. If you have any question, please feel free to contact us.